Le Petit Mini Wreath 1.25 lb mixed seed wreath with rope hanger. Contains black oil sunflower, peanuts, colored safflower, red millet. 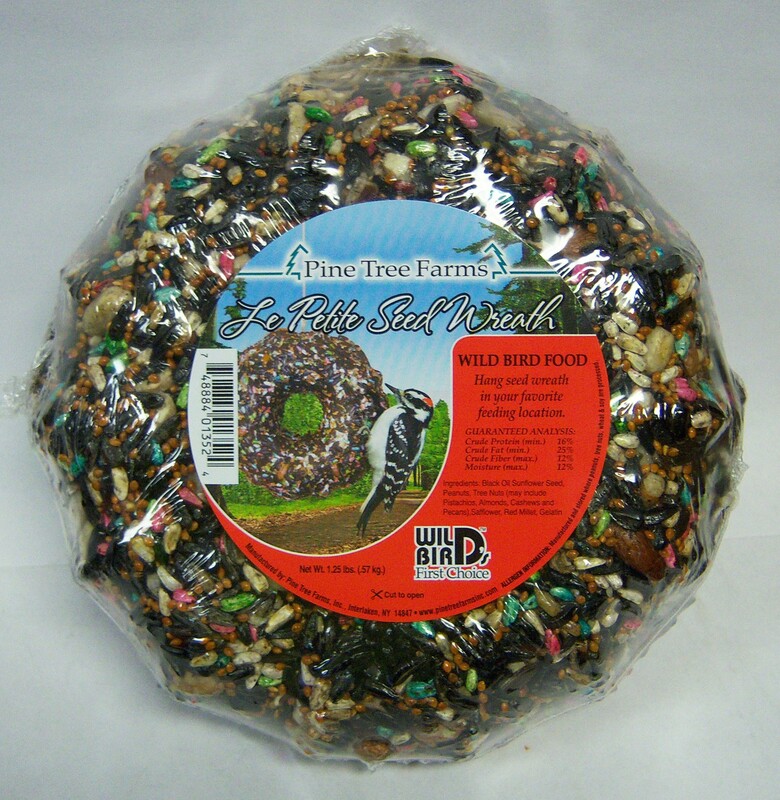 Attracts wide variety of birds. Great source of energy.